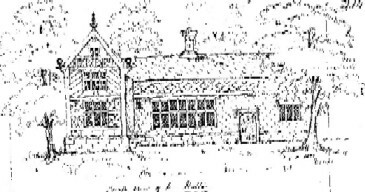 The Holte in the township of Butterworth, near Milnrow Church, was originally the residence of the family of that name who afterwards resided at Stubley near Littleborough and became extinct at Castleton Hall in 1713. The remains of this once spacious house are given here as they existed before the alterations were made about 1834. The Holt family are recorded as having lived in The Holte as far back as 1386. The early tree provides a summary. In 1889 it was owned by the representatives of Richard Orford Holt Esq. It had been purchased back into the Holt family by Robert Holt of Chamberhouse about 1829 (seems unclear the exact date but after 1810) for Ł4,000. There were 44 acres of land. 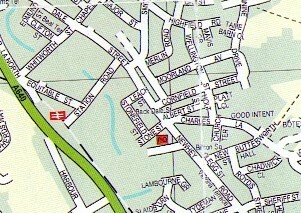 It was considered very cheap at Ł100 as acre. Valued at Ł9,000 in about 1858. 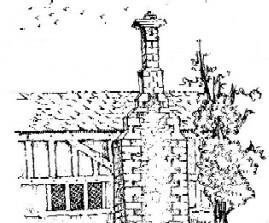 It was orginally a half timber house once common in the district.The old building was used mainly as a farmhouse and almost all pulled down in 1835.